Many media organisations require First Aid in Hostile Locations training in Kenya. This training course is aimed at people travelling remote from professional medical care, especially media workers in warzones or disaster areas, but has been made region specific and can be run near Nairobi. 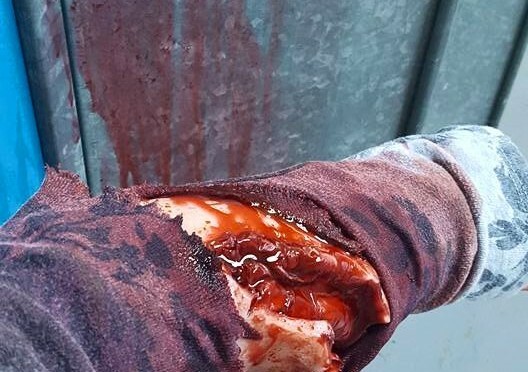 If you would like to know more about our First Aid in Hostile Locations training in Kenya contact us on +44 0800 242 5210 or info@lazarustraining.co.uk. To find out more about Lazarus Training visit our main site. First aid provision is required in every workplace and in the UK most workplaces send staff on first aid training. 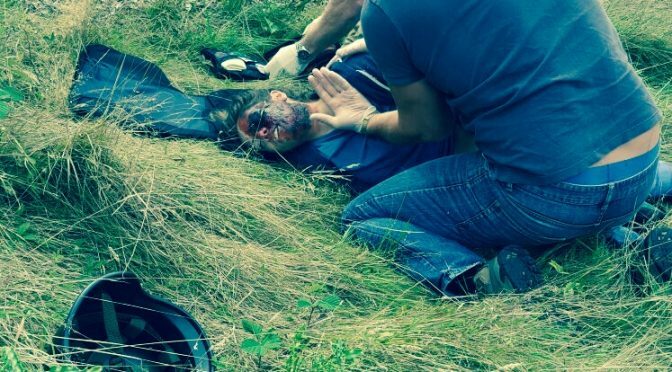 Lazarus Training has produced a range of media centred first aid training courses to meet this need, but also the real life need of the media sector. First Aid in Hostile Locations training has been designed to cover the specific risks that warzones and disaster areas present, but also cover the more commonplace need to care for an ill or injured colleague. Our course is focused on providing the best possible medical care, often with limited resources, whilst remote/separated from medical care. The course content can be adapted to reflect the clients’ equipment and risk assessments, along with the likely effects of the environment/situation too which the delegates are deploying. 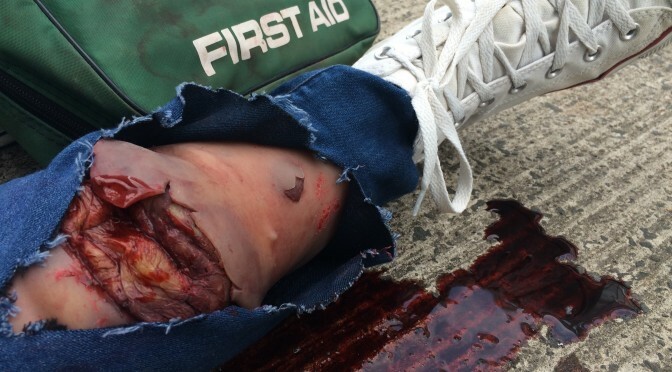 All training is conducted to our twin ethos of [#trainforreal & “first aid training is a contact sport”]. Delegates are required to take part in a high number of practical sessions and scenarios. Live roleplayers and mannikins are the casualties- not the delegates. We use a wide range of teaching styles, but focus heavily on the practical application of the required skills in a “real world” setting. 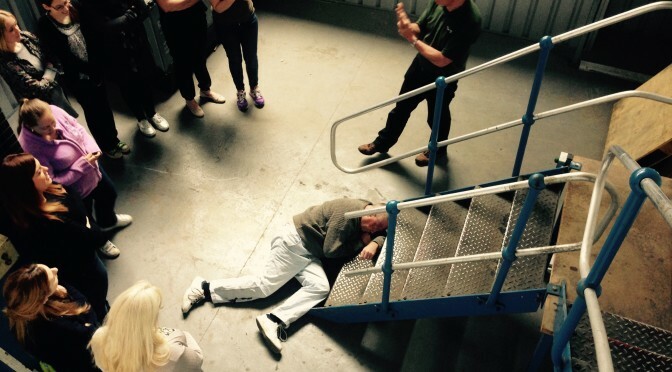 Delegates are exposed to stress via noise, darkness and casualty simulation. If this training course is of interest, contact us on info@lazarustraining.co.uk or on [UK +44] 0800 242 5210. 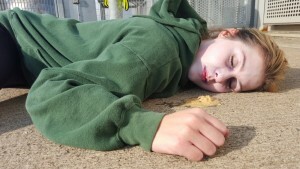 This training has been designed to reflect the recommendations of INSI for first aid in hostile locations. 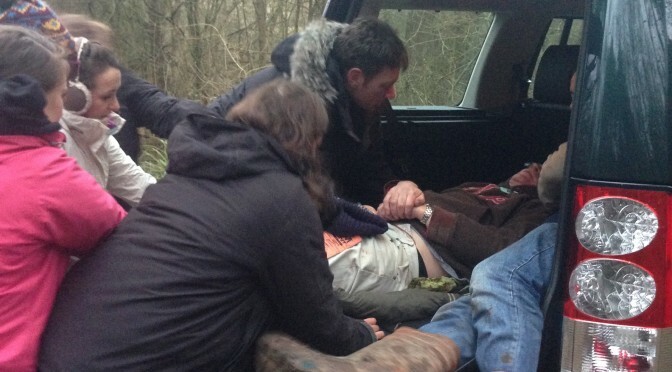 Next week we are running another of our First Aid in Remote Locations courses for one of our media clients. As this course is fairly new, being approved by the Royal College of Surgeons 8 months ago, we thought it would be good to provide some additional information on the course, how it is run, what happens, who is involved etc. So over the next few days we will be posting pictures from the course on our instagram account [@lazarustraining], tweeting [@lazarustraining & @travelsafetrg], posting updates on our facebook page and some blog posts on this and our other websites. We will post some information about what happens behind the scenes, some of the characters involved in the training and live updates from the course itself. Hopefully we can also get some viewpoints from the delegates attending this First Aid in Remote Locations. So with all the delegate packs printed off, it’s now onto the kit packing. The delegate pack has the normal enrolement, feedback forms that you see on any training course, but we also have a strong document trail for the assessment side of the course. As this is all practical, we have delegate workbooks and scenario records that are completed, some by the delegate themselves [a great way to get them to reflect on the training], but also by our team. It keeps our training team quiet in the evenings! Elsewhere on this site we have posted about the training scenarios we run, more examples will follow next week, but it does require a lot of planning and equipment. The complete course equipment currently takes up a people carrier when we include all the outdoor equipment that we use to “dress” the scenarios: sleeping bags; tarps; stoves etc. We have previously had to shave the kit down, when flying to a course, but either way the casualty simulation equipment makes up a large part of our load. Keep watching this website to find out more about this course, or call us on 0800 242 5210 or email info@lazarustraining.co.uk to find out more.